Start your new ritual. 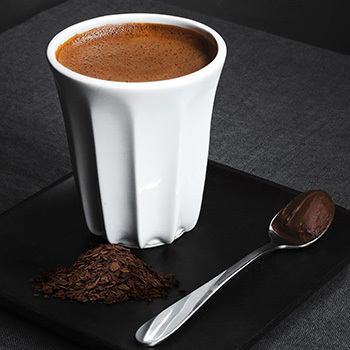 Stunning, tactile ceramic cups inspired by cocoa pods. Since the march of the Mayans, drinking cocoa had kudos and was a special event, with ceramics to match. It’s time for a new one. Inspired by the ridges of shade-loving, ergonomic cocoa pods, designed by Royal College of Art ceramicist Andrew Wicks. The perfect size to add your barista twist, with real silken-smooth hot chocolate at the touch of a button from the Velvetiser. 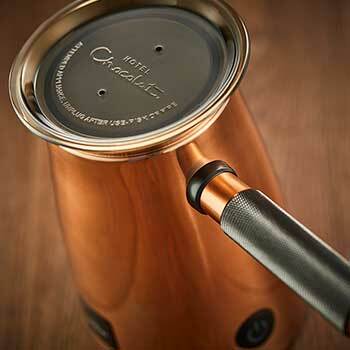 Ready in minutes it’s your in-home hot chocolate system designed by Hotel Chocolat and engineered by Dualit. Move over mugs. All hail the Pod Cup.